The OTA is pleased to continue its relationship with Penn as the Official Tennis Ball of the OTA in 2018. The 4-year agreement will be in place until December 31, 2019. HEAD Canada is the distributor for Penn tennis balls in Canada. Penn will be offering OTA member clubs and sanctioned tournament sites special pricing on Pro Penn Marathon balls and a great rewards point programme for Head and Penn products. The OTA competitive structure will use the Pro Penn Marathon tennis ball for all provincially sanctioned tournaments and will use the family of Penn QST (Quickstart) Kids Tennis balls for U10 competition. In 2019, the OTA will sanction over 24,000 individual matches. For more information on Penn, visit www.pennracquet.com. For more information regarding Penn tennis ball sales, contact Tammie Sangster, HEAD Canada/Penn Representative 416-482-3166 or tammiesangster@gmail.com. Program RacquetGuys is the Official Court Equipment Supplier of the OTA. They have everything your club needs including balls, nets, net posts, windscreens, court drying equipment, clay court accessories, ball baskets/carts, and ball collectors. 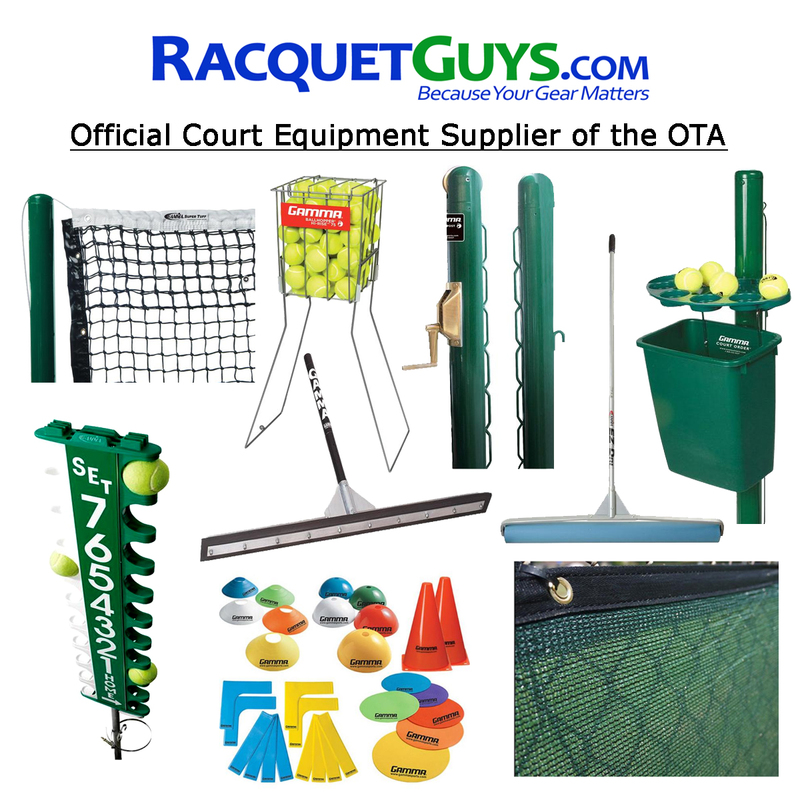 Beginning in 2019, RacquetGuys will provide OTA member clubs with a 10% rebate on court equipment purchases. Qualified purchases include items found in the Court Equipment category of our website https://racquetguys.ca/pages/court-equipment , but excludes balls. The rebate will be calculated August 31st on pre-tax purchases and issued in the form of a gift card. The gift card can be used towards any online or in-store purchase. RacquetGuys (est. 1994) is located in Markham, Ontario and staffed by a dedicated team of professionals with many years of experience as tennis coaches and players, many of whom are USRSA certified Master Racquet Technicians or Stringers. Shop Online www.RacquetGuys.ca . Call 416-292-8333 . Email info@racquetguys.com . Visit us at 7400 Victoria Park Avenue, Unit #7, Markham V4.